The first international tournament of the World Series Ethnosport Challenge held in Atmanov Ugol in Tambov region as a part of Russian traditional games Atmanov Kulachki. In the battle of team of the Kulachki Ethnosport Challenge won the team of guests with a score of 2:3 by the Russia VS World formula. 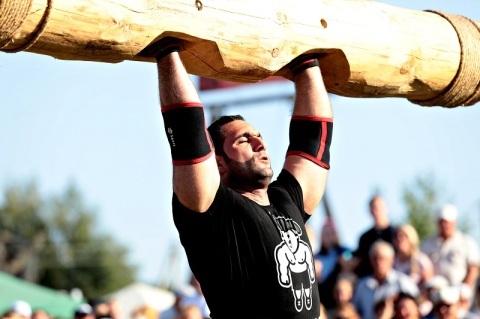 Guests won in individual competitions in kettlebell weights, log lift and weight holding. The Russians were stronger in pole push and heavy races. 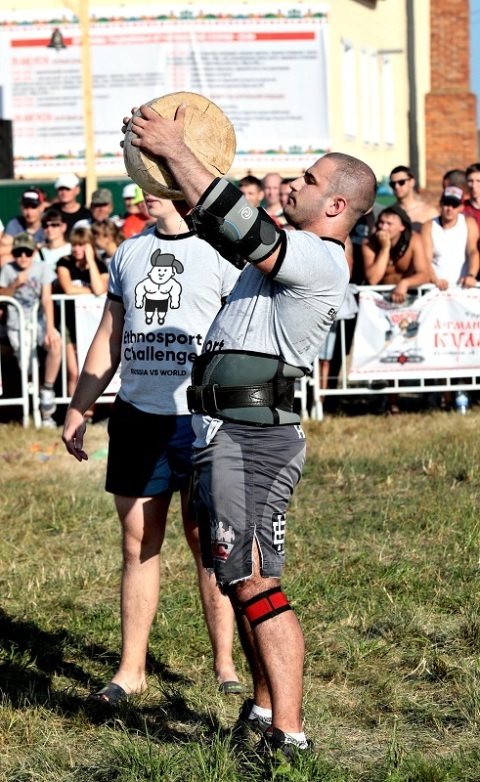 Absolute winner of the Fists Ethnosport Challenge was Vladimir Bulgakov (Russia) from the city of Kursk. "His victory is symbolic, because the countdown of the strongest athletes Ethnosport Challenger will always be conducted from its achievement", - said the president of the World Ethnosport Society Dr. Alexey Kylasov (Russia). 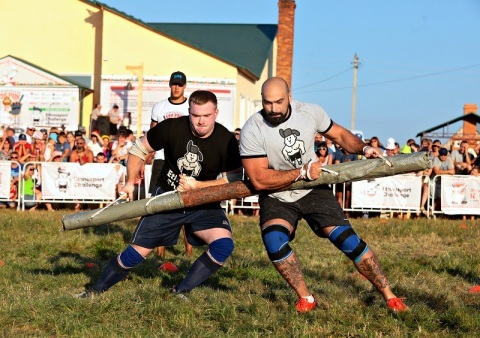 The Russia Team at the Kulachki Ethnosport Challenge consisted of four strongmen: Vladimir Bulgakov (Kursk), Artem Kobanov (Moscow), Ruslan Pustovoy (Moscow) and Yuri Kuzmin (Nizhny Novgorod). The team formed following the results of the tournament Ethnosport Challenge Moscow VS Russia, held on May 1 this year at the Moscow Olympic stadium "Luzhniki". 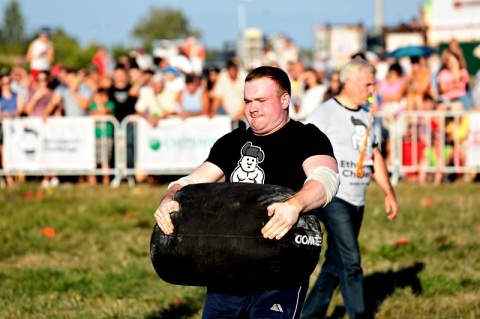 "It is this principle of the formation of national teams that we will adhere to everywhere, we consider this continuity is an ideal, when the first tournament is held City VS Country and only then Country VS World", - explained the Secretary General of the World Strongmen Federation Vladislav Redkin (Latvia). 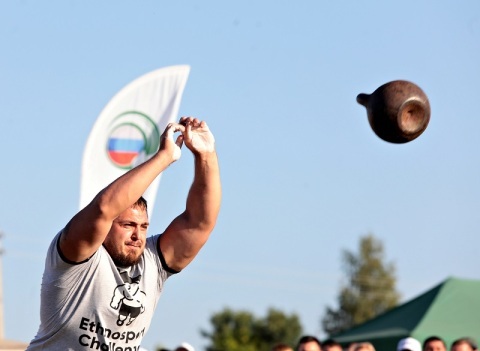 The World Team formed by the World Ethnosport Society together with the World Strongmen Federation, including Aydin Humbetov (Azerbaijan), Nikita Nizhnik (Belarus), Radion Sukman (Moldova) and Tarmo Mitt (Estonia). Russian and foreign athletes watched with great interest the extensive program of competitions in various types of Russian ethnosport on traditional games of Atmanov Kulachki – Rusmyach, Lapta, Russian draught, stick pulling, Traditional archery and other playing. At the invitation of the World Ethnosport Society Gintautas Vileyta (Lithuania), president of the World Belt-Wrestling Committee of the United World of Wrestling - the Olympic sport wrestling federation, visited the Russian traditional wrestling za-vorotok competition. The final was a big festive wall battle fist fighting by traditional rules without blows to the head, which attended by all comers. The next tournament of the World Series Ethnosport Challenge will held on September 8 in Malaysia and called Badang Ethnosport Challenge.